A wild Pikachu appears! Then vanishes. Then goes to auction. 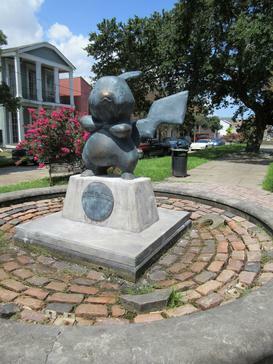 When a giant statue of Pikachu mysteriously appeared overnight in New Orleans’s Coliseum Square Park in July, neighbors were delighted, police were indifferent, and a once-quiet shady stretch of park became an immediate tourist destination. In the spot that once contained a dilapidated non-functioning water fountain, the bronzed fiberglass statue stood sassy and large as life, with arms crossed and a stern expression on its face. Pikachu entertained both locals and visitors who flocked to see it for two weeks before vanishing as quickly as it had appeared. Did someone destroy the illegal statue? Had Team Rocket finally stolen Pikachu? The anonymous artist who created the piece came forward and explained that he (or she) had taken down the statue deliberately. Not only to protect it against damage and vandalism, but also so it could be donated Pikachu to the Coliseum Square Association for the purposes of an auction to help fund the restoration of various fountains in the park. Pikachu keeps a lookout over Coliseum Square. The timing couldn’t have been better. 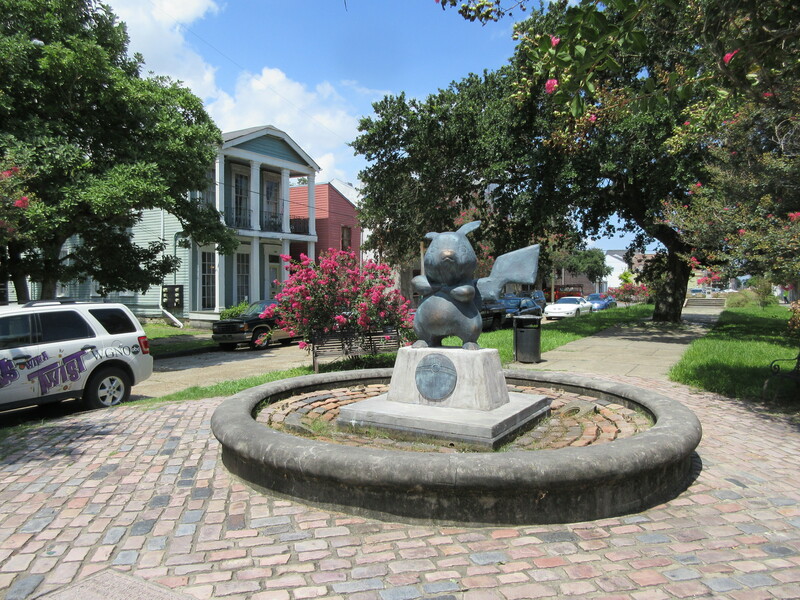 Thanks to the release of Pokémon Go, this pop-culture franchise is seeing its highest popularity in two decades and New Orleans needs it, too: their Coliseum Square Association is the 2016 recipient of the Freeman Endowment Challenge grant of $25,000. The money will establish an endowment that benefits the parks and fountains of New Orleans’ Lower Garden District — but the Association has to earn it by raising $50,000 themselves before the end of the year first. Luckily, the massive Pikachu statue is sure to bring in a few bucks when it goes to auction on Sunday, September 25. And once again, everyone’s favorite Pokémon saves the day. Bravo, Pikachu! Media via Infrogmation of New Orleans / Flickr, Infrogmation of New Orleans, 2 August 2016, cc-by-sa-2.0 / cc-by-sa-4.0.